Marsh Fork Elementary students will provide music for the event, and Kevin Crutchfield, CEO of Alpha Natural Resources, will be among the speakers. Unfortunately, a few important voices — folks who played a huge role in making this new school a reality — aren’t on the guest list and haven’t been invited to speak. Longtime community activist Bo Webb told me today that he wasn’t invited and that none of the other environmental and citizen group leaders who pushed for the new school in the first place are on the agenda. I can’t answer that … I don’t know. It didn’t come up. But I think they definitely will be recognized from the stage for their role. As regular readers know, the current Marsh Fork school is located adjacent to a huge Massey/Alpha coal processing facility and just downstream from a giant coal-slurry impoundment. Folks like Bo and Ed Wiley worked tirelessly on this new school, back when then-Gov. Joe Manchin wasn’t interested and local officials were saying the existing facility was just fine. Then, of course, the late Sen. Robert C. Byrd spoke out on the problem. 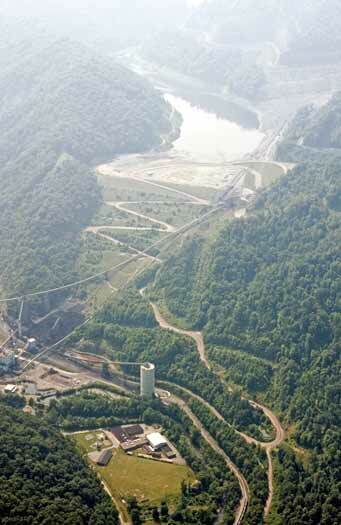 Massey Energy donated some money and after the Upper Big Branch Mine Disaster, the Annenberg Foundation chipped in $2.5 million — paving the way for the state School Building Authority to fund the rest of the project. 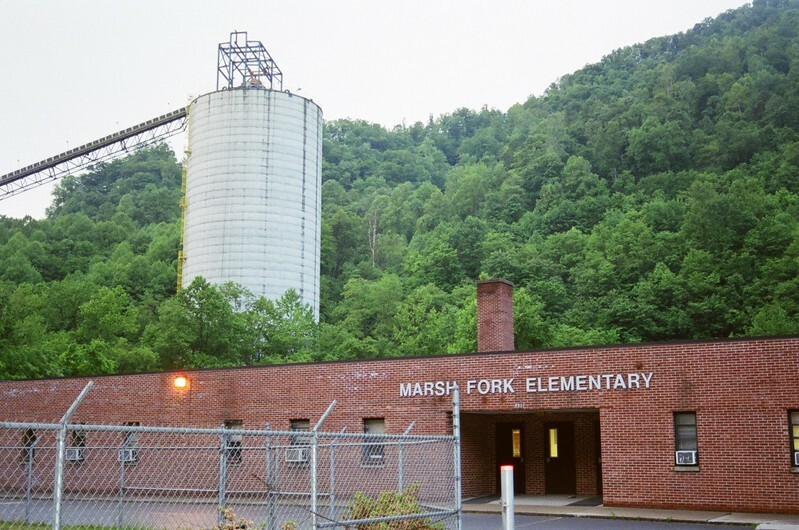 The Marsh Fork Elementary School is funded through the Raleigh County School Board ($3.53 million); Alpha Natural Resources ($1.5 million); Annenberg Foundation ($2.5 million); the School Building Authority of West Virginia ($3.146 million); and Pennies for Promises, Coal River Mountain Watch ($11,000). Maybe as a gesture in his company’s “Running Right” program, Kevin Crutchfield will take it upon himself to call the citizen leaders up to the stage and thank them for making this new school project a reality. Thanks, Ken, for noting the tireless work of Ed and Bo (as well as Debbie Jarrell and many others). The effort to get a new school for the students of Marsh Fork Elementary is the kind of inspiring story of which this state and nation are badly in need. thank you ken, for this article. the cost of building a safe school for children, is one of the longest term investments made by adults. the fact that local parent/grandparents/aunts/uncles, community had to step up to remind, loudly and repeatedly , corporations such as alpha of this, is part of the problem. it is not only disappointing that the “ground breaking” will not honor the community of place people and others who helped make the issue of marsh forks visible, so children would have a safe, healthy environment to learn in, it is rude. still that is to be expected, i guess, no one likes to be in the wrong and have it made so publicly visible, children being placed as risk, with cash profits being the over-riding goal. no wonder our country is in crisis. STAND FORTH community, the children are tomorrows adults.